Since 1982, Bulldog Movers has been the Atlanta area’s trusted providers of professional movers and storage service. 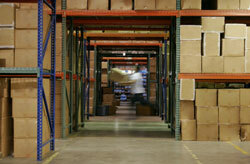 We understand that many moves not only need exceptional movers, but need secure storage as well. Whether you need a storage unit because of a later move-in date or because your new place won’t fit all of your current furniture and other belongings, we have the 40,000-square-foot facility with clean, dry storage space to hold your items for as long as you need. Along with the benefits of our storage, our movers are experienced and never subcontracted, which means when you choose us as your Atlanta movers and storage facility, you can rest assured that your items are in good hands from your door to our warehouse. With the added value of honest and accurate estimates and larger trucks than area competitors, the choice for moving services is clear – Bulldog Movers. Contact us for more information on our moving and storage services for metro Atlanta residents and businesses. We are a fully licensed, bonded, and insured moving and storage company.